This is not an easy promotion; it is in fact our most challenging promotion of the season. 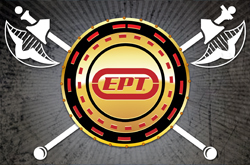 This is exclusively for our best players in the Eastern Poker Tour to compete against only 40 players for Four Bar Poker Open Packages worth over $5,000, a $36K Finals Wildcard Seat and a shot at winning the lion's share of at least $100,000! 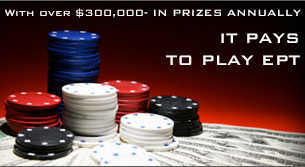 Win a tournament, and keep winning! We will choose our 40 most winning players from the Wall of Champions Leaderboard. If there are players still tied, we will use total seasonal points as the tiebreaker. Every win on a nightly basis will count towards a 3,000-chip advantage in the Battle of Champions with no minimum and no maximum. This season starting blinds dropped to 25/50 from 100/200 to work within the Foxwoods daily structure also with more levels.